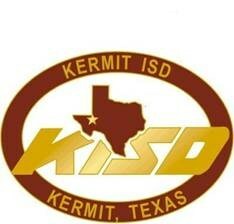 Kermit Independent School District is located in the city of Kermit in Winkler County, Texas, in the middle of the Permian Basin, and encompasses 398.09 square miles . The city of Kermit is located just under the southeast corner of New Mexico at the intersection of State Highways 18, 115, and 302, approximately 46 miles west of Odessa. Kermit's main industries include ranching and petroleum production & transportation. Although the 2010 census places Kermit with under 7110 residents, population has been growing recently due to the recent oil boom.